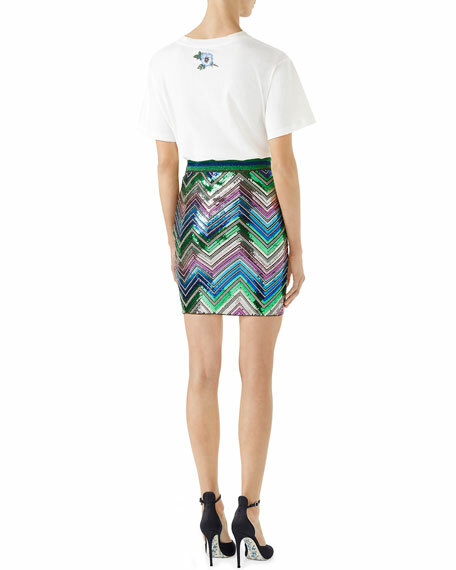 A Gucci print tee that was shown on the Cruise 2017 runway. 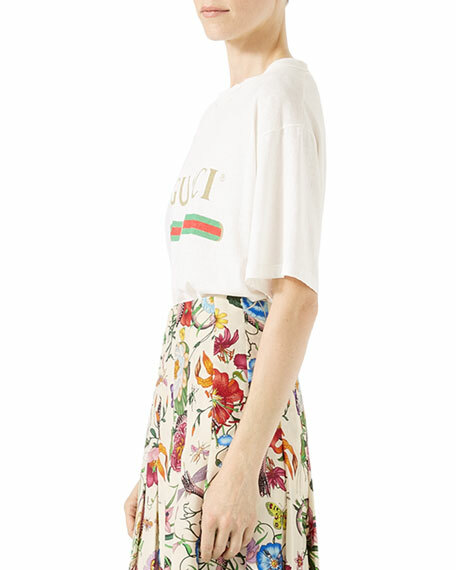 Gucci print with embroidered flower appliqué on the back. 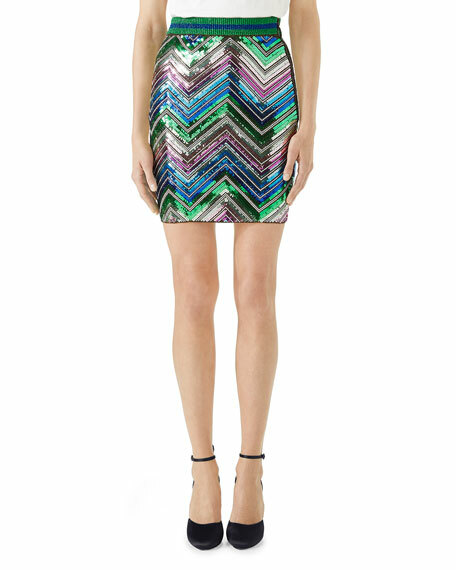 Chevron sequins on knit skirt. 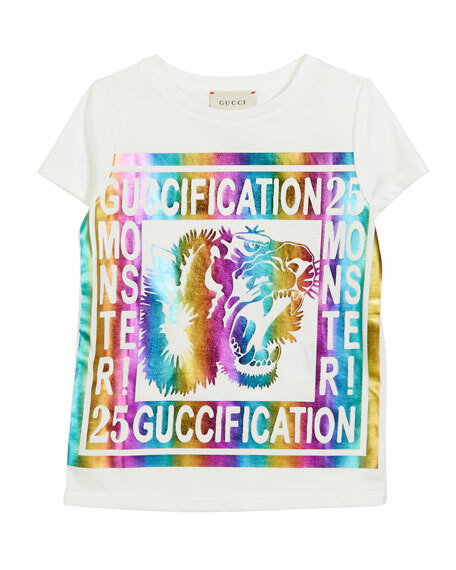 Gucci jersey tee featuring iridescent "Guccification Monster!" and tiger laminated print. Crew neckline. Short sleeves. Pullover style. Cotton. Made in Italy. 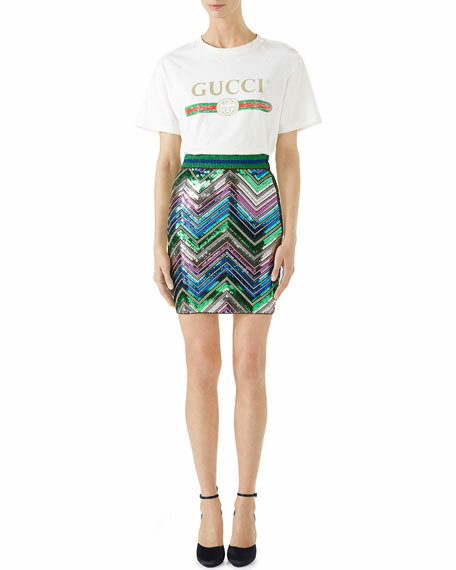 Gucci T-shirt with vintage logo print. Crew neckline; buttons at left shoulder. Short sleeves. Pullover style. Cotton. Made in Italy. 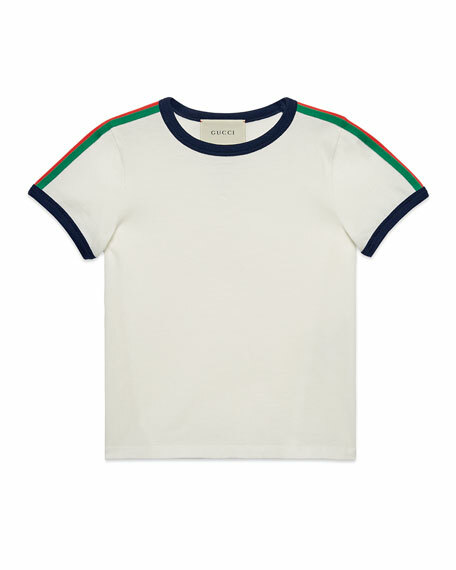 Gucci jersey tee with green and red Web detail along sleeves. 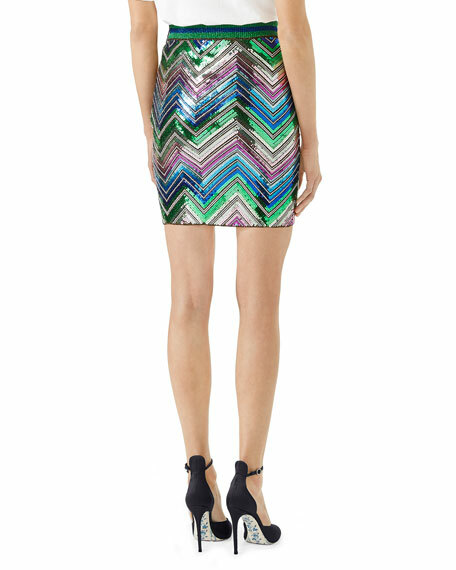 Kingsnake print on back. Contrast trim at collar and cuffs. Crew neckline. Short sleeves. Pullover style. Relaxed fit. Cotton. Made in Italy.